The day selected to host the annual Legislative Reception is Wednesday, February 6, 2019. The day will begin with a luncheon for the Boys State Governor Seamus Duffy of Sioux Falls and Girls State Governor Calico Ducheneaux of Mobridge along with their parents and Department leader-ship. Following the luncheon, the governors will be taken to the Capitol to visit and take pictures with Governor Noem in her office, if she is available. At 2 p.m. they will be at the Senate Chamber and the House of Representatives for introductions. A Commemoration will go through the Senate and House honoring them and the American Legion and Auxiliary for sponsoring the Boys State and Girls State Programs. At 3:30 p.m., the Department Legislative Committee will meet and review the legislative session and make any decisions on whether to support any statutes that have been brought before the legislature. Followed by the Legislative Reception. The reception will be held at the American Legion Pierre Post Home and will run from 5:30 p.m. till 9:00 p.m. Legislators will receive an invitation from Commander Brenden and the Commander will be at the door greeting them as they arrive. Please spend the day and attend all events wearing your Legion cap. 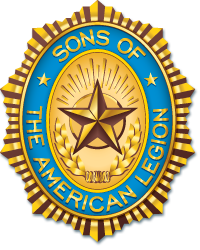 Legislators that attend the Legislative Reception are always looking for Legion members from their respective Districts.